As we move from the information age to the conceptual age, effective people (soft) skills are in higher demand than ever before. In critical situations the strength of your communication and negotiation skills can make the difference between success and failure. These jugular business and social events are your signature moments. Soft skills are different than technical (hard) skills. Hard skills are based on precision, accuracy and routine. Typically there are defined ways of performing that are manualized and almost universally understood. Managerial accounting, computer programming and oral surgery are good examples of hard skills. Hard skills are vital to our success, they are the things we get done. 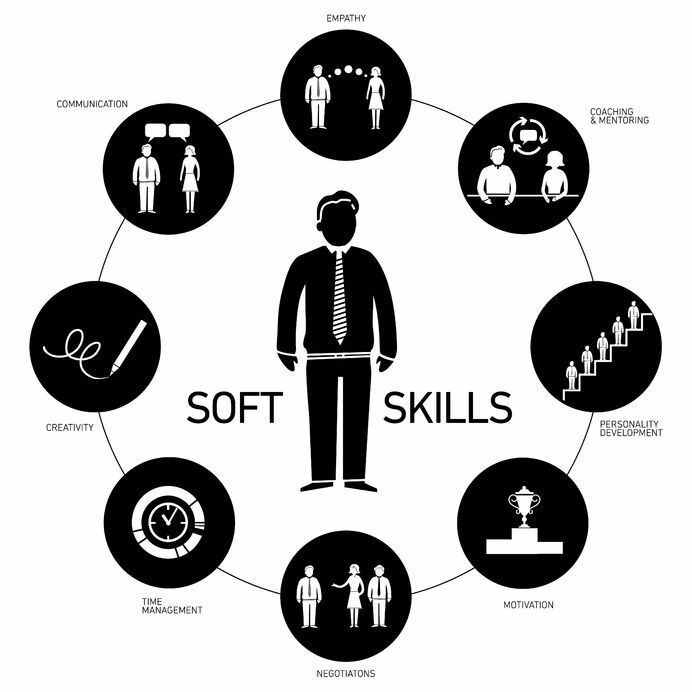 Soft skills are people skills, how we speak, negotiate and relate to other people. Reading body language is a soft skill, as is running a meeting or even leading a team. Soft skills can be thought of as the way we interact with and impact others, while doing the things that must get done. To be successful we need both hard and soft skills. As we mature in our careers and seek upward mobility, we rely less on our technical skills and more on our soft or people skills. With soft skills there is less emphasis on structure and more on making the right people reads and interaction choices at the right time. Think of hard skills as a fixed target with a small bulls-eye. While soft skills have a larger target area but move constantly in multiple directions. We all have behaviors that others find objectionable. We may work better alone and really struggle when working with or even leading a team. It could be related to our manners or etiquette. We may treat individuals from diverse backgrounds rudely. Or we may be rough around the edges lacking sufficient polish in our social or business interactions. Sometimes we don’t get feedback early enough in our careers to change behaviors that limit our potential and performance. Maybe we are awkward, shy, distant perhaps even sullen and combative with others. We miss the subtlety and nuance of important conversations or lack appropriate levels of empathy. These emotional intelligence shortfalls left unattended by mentors or supervisors, can stall our career and create havoc in our personal lives. Before you know it, people will use phrases like “poor fit” or “clueless” to describe you. How you relate, communicate and interact with others is critical to your success. In fact, the higher you move up the ladder the more important soft skills are. They become your social signature. Getting feedback from friends and colleagues is good, but it’s partial. Coaching that blends knowledge, skills building and attitude coaching is a formula we have had tremendous success with. Yes you could do it alone, but is it worth the risk of failure? There are times when the outcome is simply too important to risk going at it alone and hoping you get better results. There will be major presentations, critical interviews or key negotiations, when you absolutely have to win. Getting professional coaching is a proven effective way of shifting the odds in your favor. Our soft skill building program reduces the uncomfortable social friction that can occur in the workplace. We can help you enhance your results and rewards. Accelerate your success by redefining your social style, poise and grace. Reduce clumsy, awkward social moments and watch the right kind of sparks fly. Develop game winning soft skills that say WOW. Copyright Commonquest Consulting 2012- 2018. All Rights Reserved.